Home / BEGINNER 1 – TUESDAY EVENING – January 16th 2018 – 6pm to 8pm – 8 WEEKS – class now full! BEGINNER 1 – TUESDAY EVENING – January 16th 2018 – 6pm to 8pm – 8 WEEKS – class now full! 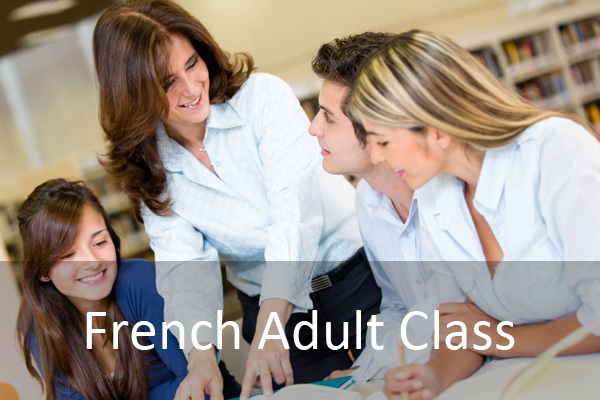 We firmly believe in teaching our students practical French skills which allow them to communicate in everyday situations. Our highly motivated instructors are native speakers who have many years of experience teaching languages. The only thing we ask students to bring to class is a positive attitude! All material is included, including 1 textbook, and there are no taxes in French lessons in Canada. For more information please feel free to contact us. Please note that we try to update the number of spots left every day but occasionally several people sign up at the same time and there may be fewer spots available than indicated. As there is high demand for our classes and our courses are almost always full up, we recommend signing up at least 5 days before the course begins to be sure that you will have a spot in the class.